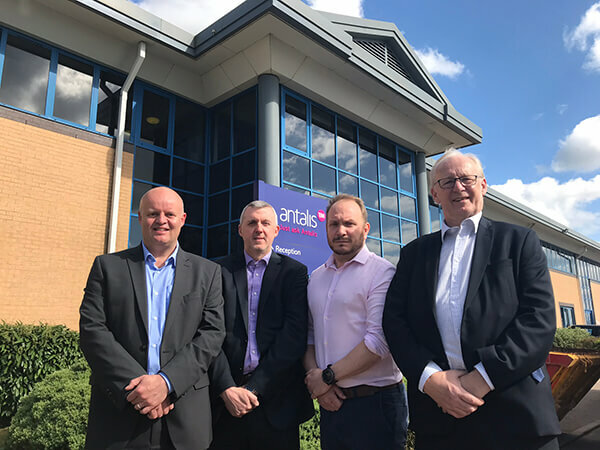 In a market awash with constant technological advancements, Antalis has bolstered its digital team in order to provide customers with the industry’s most holistic consultancy when seeking to keep abreast of the latest innovations, along with training and support. Headed up by digital expert, Jim Whittington, Antalis’ digital print experts provide customers with the number one digital material resource in the UK. With dedicated regional focuses supported by a centralised framework, each expert team member will be available to provide customers with consultancy on the latest digital innovations and advancements on the market, along with advice on potential business opportunities. This invaluable support includes everything from guiding them through the process of investing in new equipment, identifying the different applications their existing machinery may be capable of producing and looking at new or complementary solutions to sit alongside existing kit. Jim, who has been with the business since 2010, has helped numerous clients to identify and implement more innovation print solutions and, in turn, grow their business. Recently joining the team, Brad Hyde is digital business partner for the South West, brings years of experience in high quality print and digital print acquired during his 10 plus years’ in the industry, most recently at Ricoh where he oversaw machine demonstrations at the leading name’s London showroom. Occupying the same role but for the South East region is Neil Lewis, having been with the business for four years, prior to which he worked at Xerox. Conversely, taking the Northern territory is Jeff Gill, bringing with him almost 20 years’ experience gained during various positions at the Antalis business. Talking of the new team, Jim commented: “We are aware that our customers are under immense pressure from clients, particularly those working in the creative industries, to continue to push boundaries in innovation and the creative concepts. With the continuous introduction of new technology coming to market, Antalis acts as a consultative partner, helping printers find innovative solutions that will help them expand and differentiate. “As such, we have bolstered our digital team to provide customers with concerted expert consultancy on latest digital market entrants and the opportunity they present. While this isn’t anything new, as we already have a strong presence in this market, the difference is the ability to provide national access and expertise at a regional level – so we can reach out to more customers than ever before.